Over the past 20+ years, as we consistently built up a reputation as Edmonton’s premiere carpet and rug cleaning company, we’ve accumulated vast knowledge of effective odour elimination procedures. Thanks to our dedication to remaining current on the latest technological developments in our industry, we are able to provide our customers with some of the most efficient and thorough odour control services on the market. Household and commercial odours are caused by a wide variety of elements, with some of the more common sources being animal or pet urine; contaminants deposited during a disaster, such as a flood; excessive and untreated moisture; as well as simple, built-up dirt. While the elimination of odours from these sources may seem simple enough, it is important to understand that oftentimes smells caused by animal waste, high humidity, smoke, and crime scenes, come from well below the surface and require the specialized detection tools, cleaning equipment, and experience that only a trained professional can provide. Thankfully for residents of Edmonton, as well as a wide radius of surrounding areas, Grimebusters Ltd. is staffed by some of the most highly-skilled technicians in the field, equipped with the state-of-the-art equipment necessary to eliminate odours at their source and ensure they don’t resurface in the future. In cases of animal staining, a black lighting procedure is performed to determine whether the affected material can be salvaged. Investigating, recreating, and remedying the odour-causing source, in order to ensure the problem does not persist after cleaning has taken place. Cleaning, decontaminating, and deodorizing the affected areas with the use of highly-effective thermal foggers and hydroxyl generators. Wherever possible, sealing all restorable surfaces. Don’t waste time and money trying to eradicate persistent odours yourself.  Let the professionals at Edmonton’s Grimebusters Ltd. get the job done completely and correctly the first time. Contact us today for a consultation & quote!